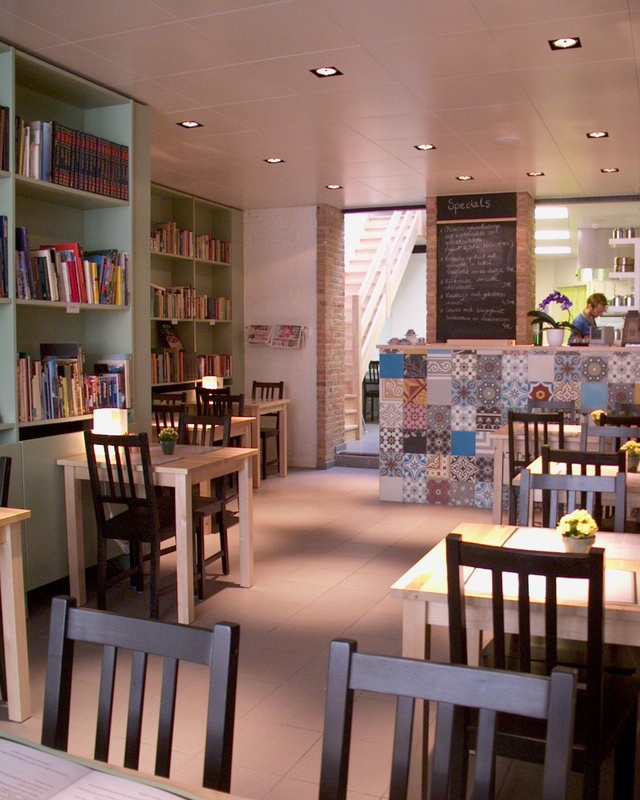 The combination of different kinds of breakfasts, light lunches (salads, sandwiches and seasonal specials) and our used-book store create a relaxing atmosphere. We like to surprise with tasty, healthy food. Organic and vegetarian options are always available. As for drinks : freshly ground coffee, latte, capuccino, fresh tea, homemade limonade and ice-tea....The books are a mix of all genres of non-fiction and fiction. English and French books are available too.See you in Books & Brunch ! We're open from Monday to Friday, 9-15 h.